So, what was I thinking is that exercise is clearly a bad thing. Every time I try it I end up feeling ill, so I take that as my body trying to tell me something. Instead I’m thinking of doing a diet. No not a ‘healthy eating plan’. A diet. I thought I’d try one of those that get handed round the office on a piece of paper that’s been photocopied a million times. 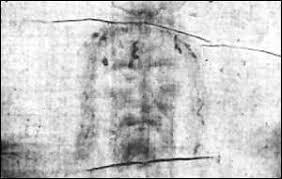 You know the ones; they look a bit like the Turin Shroud, except faint. These diets are based on those they give obese people in hospital who have to lose a lot of weight very quickly before having an operation. They involve eating cabbage soup for three days solid followed by one full day of bananas after which they reckon you should have lost about 20 lbs and produced sufficient gas to power a medium sized housing estate for a week. Big Sharon in Reprographics swears by it and she should know. She does it every summer so she can fit into the seats on Easyjet.